The competition closes at 23:59 on Sunday 29th January 2017. Entries received after this time will not be accepted. 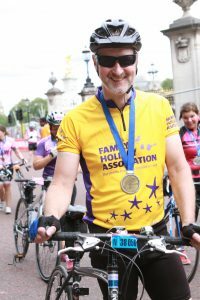 The competition can be entered by posting a message to the Family Holiday Association to say where your favourite place to cycle is. The message can be posted as a Facebook message to the Family Holiday Association or a comment on the competition post, on Twitter, or as a comment on the Instagram competition post. The prize is one Family Holiday Association cycle jersey. The home address of the winner will be requested in order to receive the prize.